If city dwelling taught us anything, it’s that Monday’s are nothing if not thirsty. In case you’re in need of a conversation stimulant later and still too tired from the weekend to jog around the internet today for some cool news. 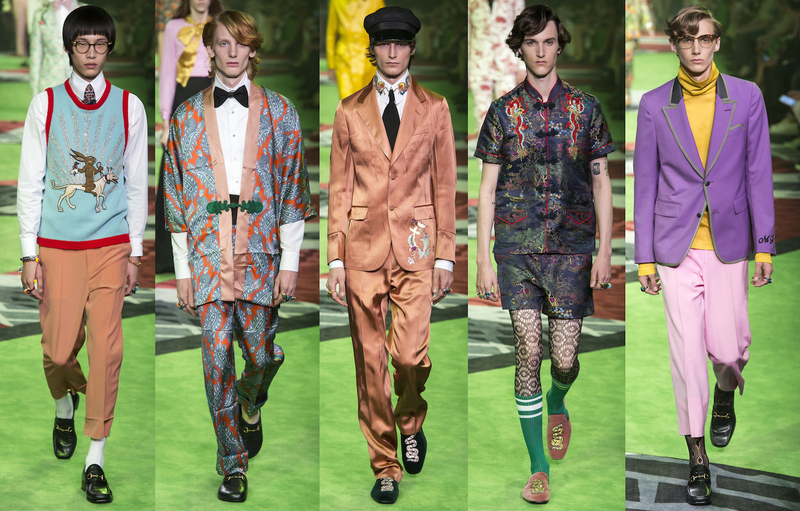 Gucci’s Spring 2017 menswear collection hit the runway in Milan. 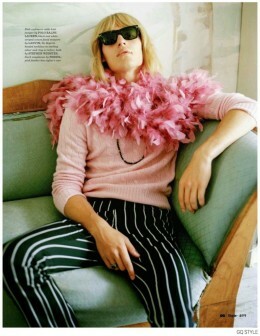 The latest Gucci collection theme is something many of us can relate to – the dream of travel rather than its actuality. The 13th-century travelogue of Marco Polo, Il Milione, was a reference for designer Alessandro Michele. Specifically the veracity of Polo’s travels to Cathay and Manji, now comprising China. The covetable collection provided a heavy dose of embellished, encrusted, burnished, twinkling looks that would add a touch of fantasy to the everyday hustle. 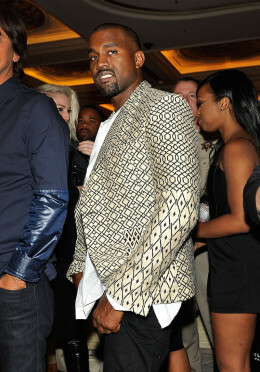 And covetable they are; the Alessandro effect has seen sales rise by 4.8 per cent for the Italian fashion house. 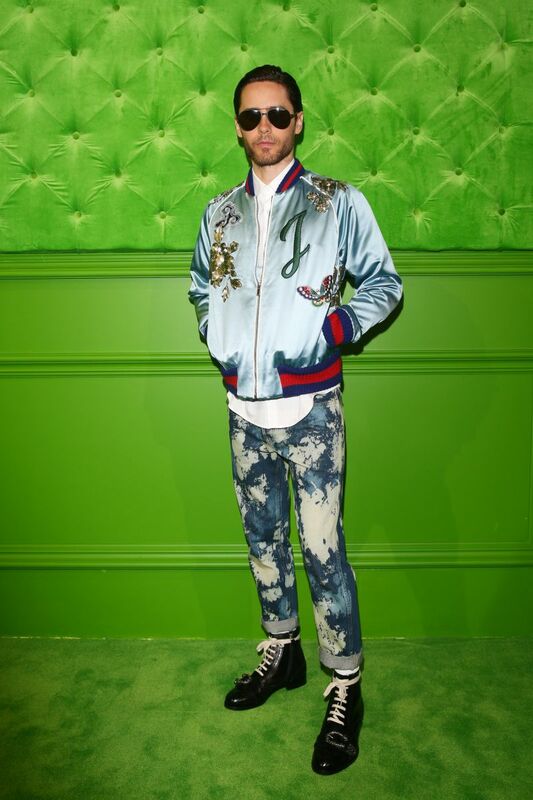 Jared Leto was in attendance looking fine in Gucci. 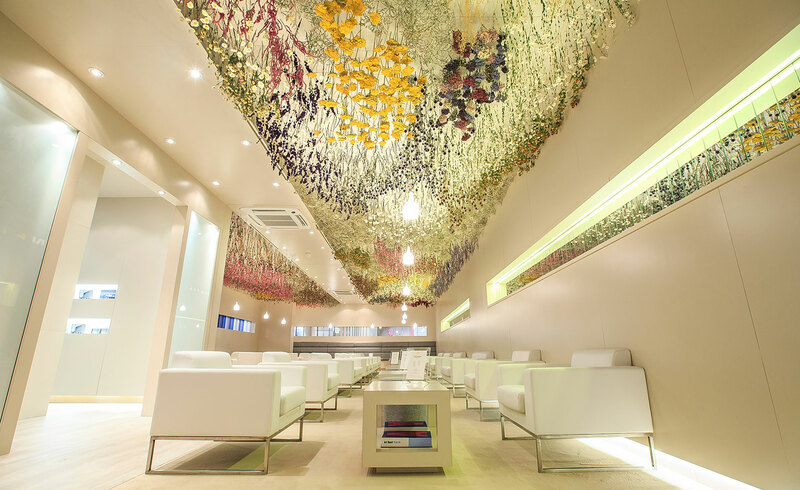 Private jet brand NetJets enlisted British artist Rebecca Louise Law to create an installation for their Collectors’ Lounge during Art Basel. Unveiled earlier this week, Law’s Growth installation is suspended from the lounge’s ceiling, featuring a selection of over 15 species of preserved flowers sculpted and entwined with copper wire. The installation appears like an upside-down meadow that you wish you could skip through (if gravity worked differently). Law’s piece gives a subtle touch of natural elegance to the lounge, offering collectors an experience that combines art and nature. Back to the Milan Men’s Shows. Although the fashion backpack has been on the scene for a but, it was Prada that invented the original fashion backpack in the 1990s. So it was quite exciting to see it resurface in a new 21st century guise. 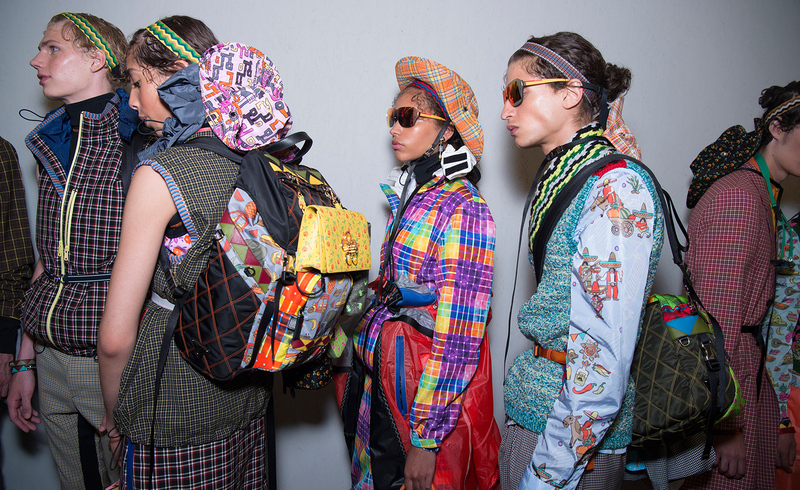 The original version’s discreet black nylon morphed this season into a maximalist, multi print, multi pocketed fashion backpack brimming with sweaters, goods and shoes that dangled off the back. Missy Elliott, St. Vincent, Cara Delevingne, MarilynManson and Courtney Love slay the new, edgy collection for Marc Jacobs’ fall 2016 campaign! Michael J. LaRue plans to open Rue La Rue Café on 4396 Broadway, at the Sofia Storage Building, in early September in honor of the late Rue McClanahan — his close friend. 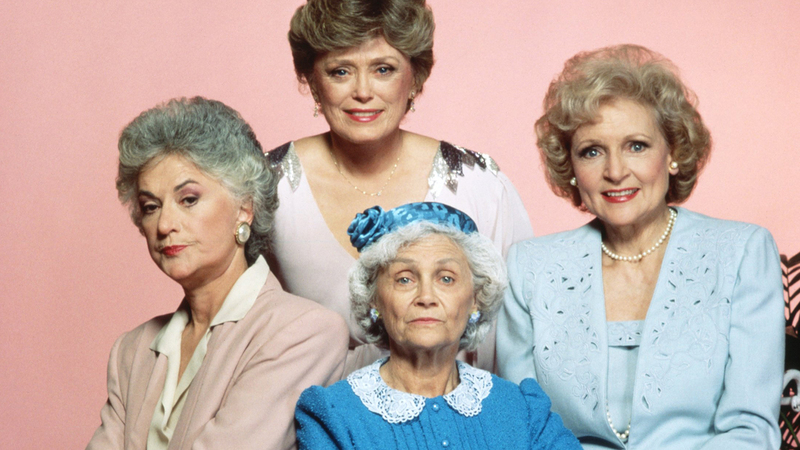 Betty White is set to attend the ribbon-cutting ceremony, DNAInfo reported. We will leave you with that because how can we possibly top this news.